Welcome to the wild. 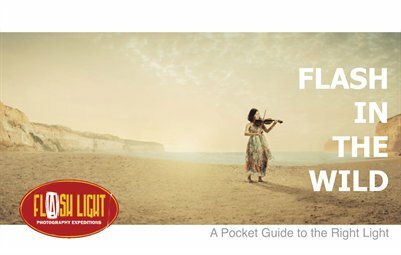 This pocket field guide from Flash Light Photography Expeditions will help you get the most out of your small off-camera flash while shooting on location. Whether you're a burgeoning amateur, semi-pro or professional photographer, you'll benefit from the more than 20 step-by-step breakdowns in our new guide. This guide is for anyone who ever wanted to create a big scene with small lights, but didn’t know where to begin. From city streets to the darkest wood, we work through one exciting location after the other while bending light on a whim. We’ll show you what you need to pack into your kit, how to build a lightweight, everyday shooting system, and most importantly, how to react to, read, and control your light. Travel well. Travel often. Shoot better. Brought to you by Dylan Goldby and Flash Parker.